The Colorado Avalance promote responsible drinking and positive fan behavior at Pepsi Center. 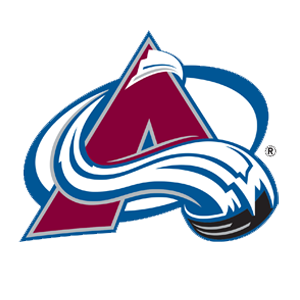 The Avalanche Fan Code of Conduct and the details of the Avalanche alcohol management plan that appear below ensure that fans have a safe and fun experience. All Pepsi Center Guests are expected to maintain reasonable and appropriate behavior at all times. Any behavior disregarding the code of conduct as determined by facility management can result in ejection and possible arrest by Denver Police. Harassing, taunting or using offensive language against the players, referees, performers, other Guests or staff. Entering a restricted area, seating area or disabled seating platform without the proper ticket. Violating Pepsi Center rules, regulations and policies. Pepsi Center management reserves the right to deny entry or eject patrons from the facility including Guests displaying inappropriate behavior, as determined by facility/event management. You can find the complete code of conduct under Security Policy at PepsiCenter.com. Fans can text FANSOS to69050 with their seat location and issue to Pepsi Center personnel or may notify the nearest Pepsi Center staff member of the issue. Your text will be replied to and Event Staff will respond to your seating section. Texting instructions can be seen on the scoreboard and fascia screens around the Arena as well as fixed signage hanging from the corners of the ceiling and also in all bathrooms. Standard texting rates will apply. The Colorado Avalanche offer fans the Bud Light Good Sport Designated Driver program at all Avalanche games at Pepsi Center. Designed to allow Guests to have a safe and enjoyable time at Pepsi Center events, this program helps promote responsible consumption of alcoholic beverages. Guests that are 21 and older wishing to participate may go to the Designated Driver kiosk across from Section 130 and receive a coupon which allows for a small complimentary Pepsi at a designated concession stand.